As schoolchildren, we learned the names of famous inventors from history: Alexander Graham Bell, Eli Whitney, Thomas Edison. Ask someone to name a famous modern-day inventor, though, and you’ll probably get a blank look. Today's heroes are celebrities: Actors, athletes, singers. But where would we be without the Post-It Note, the smartphone, the luggage with wheels that rolls through the airport? Somebody invented each of those things, and we owe them all a debt for making our lives easier. The best inventions make us wonder what we ever did without them. As part of our focus on innovation, CNN is honoring 10 new inventions in technology and related fields. These are gadgets or prototypes with big, game-changing potential: to power villages in the developing world, to assist search-and-rescue teams in responding to disasters, to restore some vision to the blind. Some are available now, while others won’t come for a year or two, if ever. But all of them are ingenious in their approach to solving problems. And someday, the names of their inventors may be spoken by future schoolteachers. 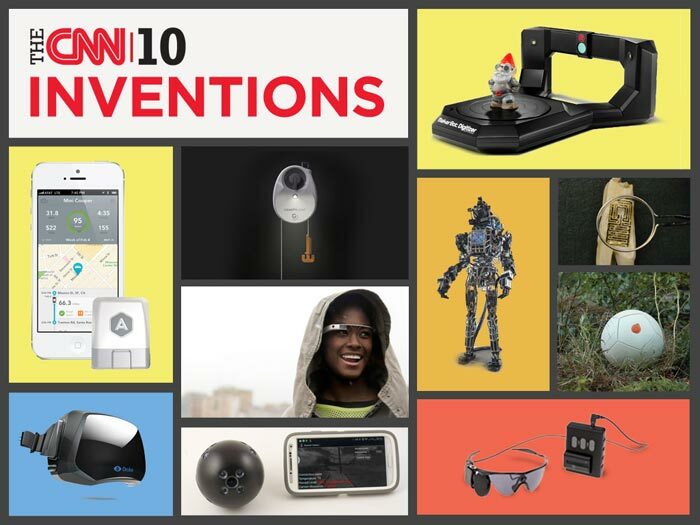 May we present The CNN 10: Inventions. In the old TV show “The Six Million Dollar Man,” astronaut Steve Austin was given bionic body parts after a horrific crash. Austin gets a new right arm, two replacement legs and a left eye with a zoom lens and night-vision capacities. The Argus II Retinal Prosthesis System isn’t quite that advanced. But for the vision-impaired, the “bionic retina” is a huge leap forward. The device, which was created by the California-based company Second Sight Medical Products, has been available in Europe since 2011. It received U.S. approval in February – the first visual prosthesis to do so. Second Sight CEO Robert Greenberg has devoted more than 20 years of his life to the invention. The Argus II functions as an artificial retina, the light-sensitive part of the eye that collects image information and passes it along to the brain through the optic nerve. (It’s often considered similar to the film in a camera.) People with a disease called retinitis pigmentosa (RP) – about 100,000 Americans -- lose the retina’s light-sensitive cells. It’s here that the Argus II takes over. The device is surgically implanted in and on the eye, according to the Argus II website. It contains an antenna and some electronics, and connects to an exterior system consisting of eyeglasses, a video processing unit (VPU) and a connecting cable. 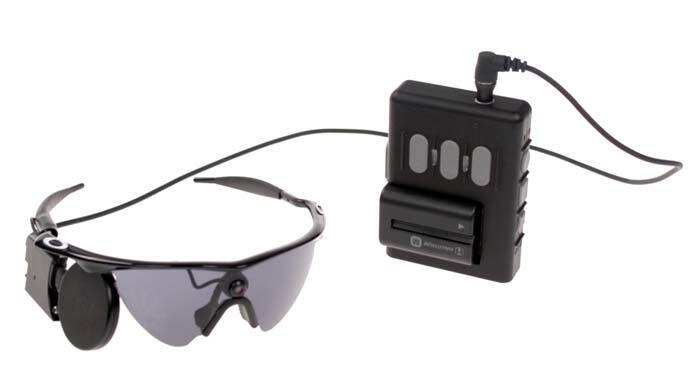 The glasses contain a camera that sends image information through the VPU and to the implant. The end result is some vision restoration. "The device may help adults with RP who have lost the ability to perceive shapes and movement to be more mobile and to perform day-to-day activities," the FDA’s Dr. Jeffrey Shuren said in a news release. The Argus II is available for adults 25 and over. It’s currently available at a handful of American eye centers. Though it’s expensive – about $144,000 – Medicare announced it would cover the costs, and other insurers are expected to follow. And it’s just the beginning, Greenberg told the trade publication Medical Device and Diagnostic Industry. “It's a computer-based system, so you can imagine in 10 years how much cell phone and computer technology has advanced,” Greenberg adds. Expect much more light to shine in the future. Even just to look at, the Atlas humanoid robot is impressive. At 6’ 2” and 330 pounds, it’s the size of an NFL defensive tackle. It can walk and lift heavy objects, replace its hands with customized attachments and complete tasks without direct human supervision, thanks to an on-board computer and plenty of sensors. The hope is that Atlas someday soon will be working alongside human first responders to earthquakes, typhoons and other disasters, helping to carry supplies or clear debris. It also could be sent into situations deemed too dangerous for humans, such as the 2011 disaster at the Fukushima nuclear plant in Japan. But Atlas has a ways to go before it’s tackling search-and-rescue missions. 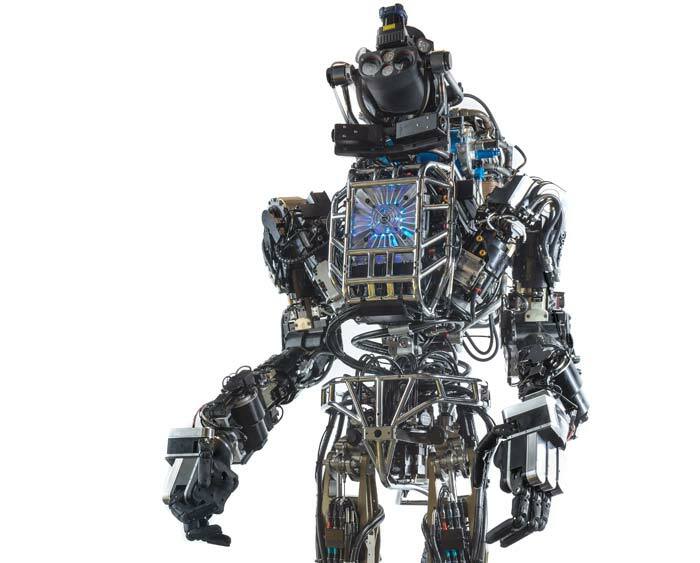 The result of a $10.9 million contract with Boston Dynamics, the strapping robot must first take part in DARPA's Robotics Challenge, which invites teams of engineers to create a remotely controlled robot that can respond to disasters. Variations of Atlas, programmed by different teams, will face off against other robots this December in a series of trials meant to test the machines’ readiness for the field. In a series of disaster scenarios, the robots must be able to navigate rough terrain on foot, move debris, climb a ladder and tear down doors or walls to get to victims. Since communication can be spotty after a disaster, they must also be able to operate semi-independently. The robots will even be tasked with driving a vehicle. The top-performing robots will then receive further funding, undergo improvements and go on to compete in the DARPA's Robotics Challenge finals in December 2014. At least one version of Atlas is expected to be among them. In the future we will have self-driving cars that weave in and out of traffic and coordinate silently with other vehicles on the road, all while we sit back with a latte, reading a book. That future is still a ways off, and even when those cars arrive they will be expensive. But Automatic brings a bit of the smart-car future to our existing vehicles with a small device that attaches to a car's onboard computer via a port under the steering wheel. Automatic pulls data about your engine and driving habits and displays the results on your phone so you can save energy and money. 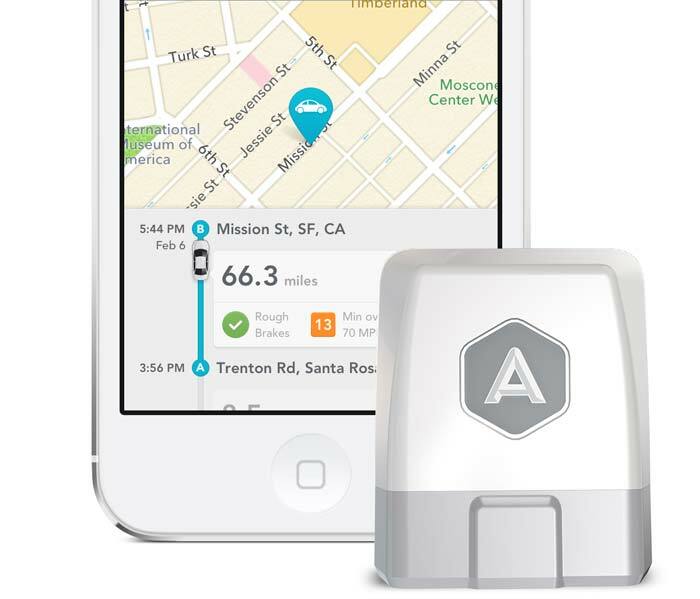 It maps out each trip using GPS, tallies gas usage and mileage, and gives you a driving score. When your car flashes the dreaded "check engine" light, it deciphers the code and tells you exactly what the problem is. It even remembers where you parked. Together, these small steps can add up to a positive environmental impact. When you're burning up fuel unnecessarily by speeding, accelerating too quickly or slamming on the brakes, the app will make a sound. Automatic also can detect when you're in a car accident. If your smartphone is on, has a GPS signal and is still working, it will automatically contact local authorities and your family members. Most of us might want to throw our camera only when we just missed the perfect shot. But this new gadget is geared toward saving lives by letting users like firefighters, soldiers and police do just that. The Bounce Imaging Explorer packs six cameras into a rubber orb the size of a baseball, along with a Wi-Fi transmitter and sensors to detect things like temperature and air quality. It also contains a microphone to transmit audio. The Explorer’s design allows users to throw it into an area that for safety reasons they’d rather not enter themselves. The data it picks up can be beamed back to the user via a smartphone or tablet. So for example, soldiers in battle or police in pursuit of an armed suspect could use it to scout out an enclosed space before getting in harm’s way. Disaster responders could toss it into earthquake rubble to look for survivors. Firefighters could find out how hot, or smoke-filled, a building is before they enter. The Explorer is the brainchild of MIT and Harvard graduate Francisco Aguilar, who thought it up after the Haiti earthquake in 2010. He teamed up with former Army Ranger and fellow MIT grad David Young to form Bounce. Other technologies, like fiber optics and even robots, already exist to perform similar functions. But the folks at Bounce argue that they’re too expensive for most first responders -- particularly police and firefighters with tight budgets. No release date has been announced for the product, which its creators still describe as a prototype. Prices for the ball are expected to start at about $1,000 and range up to $3,000 for a more advanced military version. Printing of three-dimensional objects has been a hot trend in the tech world for the last several years, but an obstacle has kept the process from going mainstream: To print anything, you first need a computer-created digital model that tells the printer what to make. Models are available online for thousands of common objects, but if you wanted to print a rare or custom-made item you had to somehow model it on your own. Where did you start? 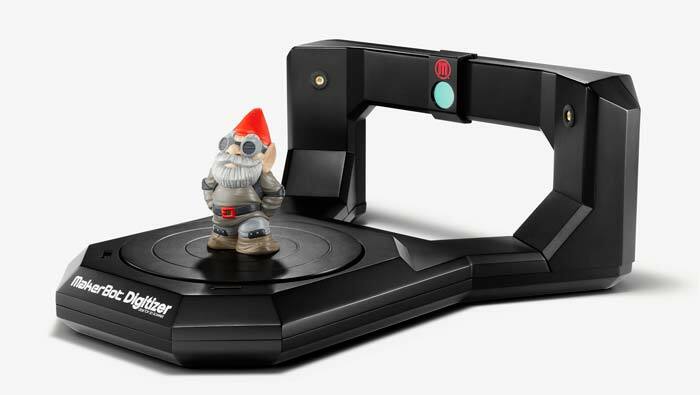 Enter the MakerBot Digitizer, a desktop device that scans almost any small object up to about 8 inches in diameter. Place the item on its rotating turntable, and the Digitizer uses two lasers and a webcam to create a 3-D digital file of it within 12 minutes. Anyone can do it -- no special expertise is required. Once the digital scan is completed, an object can be manufactured right away by feeding the resulting file to a 3-D printer. It’s much easier and faster than using software to design a digital model from scratch. Let’s say, for example, you lose a knight piece from your favorite chess set. You can simply scan the other knight and print a replica that will be identical in size and shape, if not color or weight. More significantly, astronauts aboard the International Space Station could scan and print replacement parts for broken or lost equipment instead of having to wait weeks for them to be delivered. The device, meant to be paired with a MakerBot desktop 3-D printer, is still somewhat imprecise – it’s geared more for designers and hobbyists than engineers. But it’s a first step towards a new industrial revolution in which average people can become manufacturers. 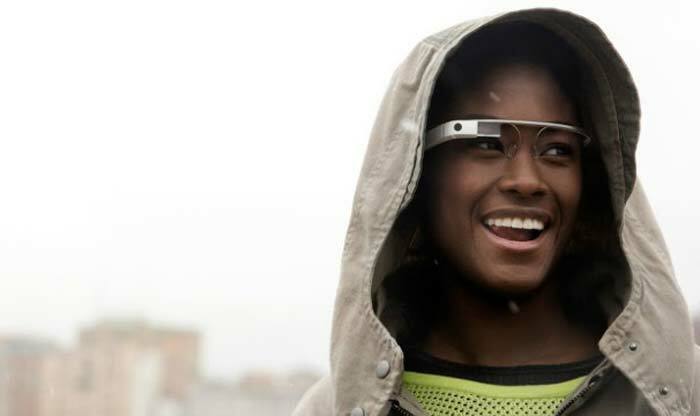 People see what they want to see with Google Glass. For some, the wearable computer is the next step up from the smartphone. It’s a real-time GPS, a videocamera, an Internet browser – and it does it all while perched on the bridge of your nose like eyeglasses. Just say “OK, Glass” or gesture with your hands, and Google Glass responds instantly, showing the results in a small display that floats just above your right eye. It’s been a source of amusement for people like author Gary Shteyngart, one of the first people in New York to try Glass, who wrote a humorous essay about reactions as he wore it around the city. It’s also been a source of concern: Authorities consider it a driving distraction and even people who are impressed by the technology wonder if it’s just Big Brother in colorful frames. So far, Google has offered Glass only through its Explorer program, which requires a compelling reason and $1,500 for a tester model. But a mass-produced version is expected to hit the market in 2014. Google hasn’t given a specific date Glass will go on sale. In fact, it hasn’t acknowledged if Glass will sell widely at all. But there’s a boat floating in San Francisco Bay that may offer some clues to the future. According to speculation, it’s soon to be a Glass showroom. Want to see Glass? Your ship may come in very soon. Turning on lights with the flick of a switch is a luxury most people don't ever question. But for the third of the world’s population that lives off of main electrical grids, something as simple as getting light can be a costly challenge. To the rescue comes the GravityLight -- a simple, ingenious device that generates light without access to electricity. The portable device doesn't have any batteries or require any fuel or cranking by hand. Instead, you hang the lamp on a wall and fill its attached bag with whatever heavy material is handy, such as rocks, dirt or sand. Then you simply lift the bag and let it go. The weight slowly pulls a notched belt through a series of gears to drive a small motor, which powers an LED -- ambient or directed light, depending on what you need -- for about 30 minutes. It can even be used to power other low-voltage devices like radios or batteries. The light will also have a positive impact on users’ health and the environment. In many poorer areas, the primary form of light is kerosene-powered lamps, which produce toxic fumes and trigger fires when the lamps tip over, causing severe burns. For a struggling family, kerosene can also be costly. 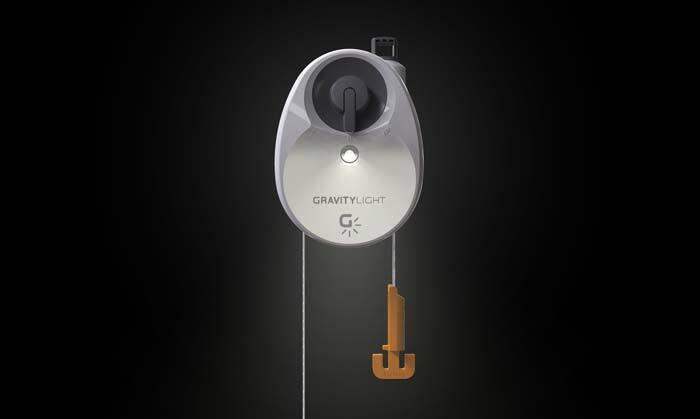 At a cost of only $10, Deciwatt says, the GravityLight would pay for itself in a few months. Created by Martin Riddiford and Jim Reeves, GravityLight was inspired by a challenge by SolarAid, a charity that asked inventors to come up with an LED light to replace kerosene lanterns. Riddiford and Reeves believe the lamp is just the beginning of what they’ll be able to accomplish with this simple, low-level power. It’s all part of their mission to do more with less. Early models for developers are available for $300. A retail version is expected next year. Get in the game. That’s not just an order barked from the sidelines any more. 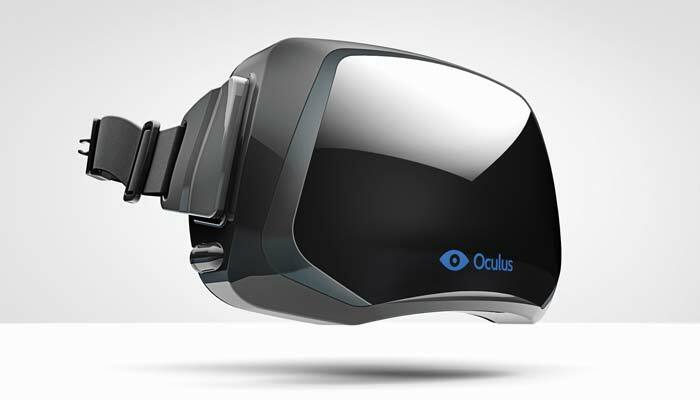 The folks behind Oculus Rift are hoping it’s the future of video gaming. Rift is a head-mounted, virtual-reality device designed specifically with gaming in mind. The idea behind the goggles-and-headphones style contraption is to immerse players in a 3D world that’s as close as possible to the real one. So, yes, Rift could be a real-world step toward the “Star Trek” Holodeck – a chamber which could simulate any environment -- so many of us have dreamed about for decades. Rift was designed by Palmer Luckey, a 20-year-old engineer at the University of Southern California’s Institute for Creative Technologies. Luckey started out as a teenager looking for cool virtual-reality tech he could use to play games. When he didn’t find it, he started trying to make it himself, scouring the Web and buying up outdated VR technology, sometimes for only a fraction of what the pieces originally cost. When he felt he’d learned enough, he launched a Kickstarter project, hoping to raise enough money to make maybe a few hundred headsets for diehard enthusiasts. The campaign set out to raise $250,000. It hit that goal in four hours and, by September, it had raised nearly $2.5 million. Of course, it didn’t hurt that one of its early advocates was gaming legend John Carmack, the lead programmer of groundbreaking games like “Doom,” “Quake,” “Rage” and “Wolfenstein 3D.” Carmack, who demoed an early version of “Doom 3” at the 2012 Electronic Entertainment Expo, is now chief technology officer for Oculus. Developer versions of the headsets have been rolling out to Kickstarter backers and others, for $300, since this spring. A consumer version, which will be compatible with PCs and Android devices, is expected sometime next year. There are other virtual-reality headsets out there. But the people behind Oculus Rift promise their wide field of view, high-resolution display and other features will let people step inside their favorite game like never before. A soccer ball Barack Obama kicked in Tanzania wasn’t just any soccer ball. The Soccket may look like a soccer ball, but it’s really an energy source. Kick it around for 30 minutes, and thanks to some internal mechanisms, the kinetic energy is converted to about three hours’ worth of electricity – enough to charge a basic cell phone. A full charge, 72 hours, can be had for 16 hours of play. The idea: Bring electricity and light to parts of the world that are power-poor and often make do with toxic, fume-producing kerosene lamps. 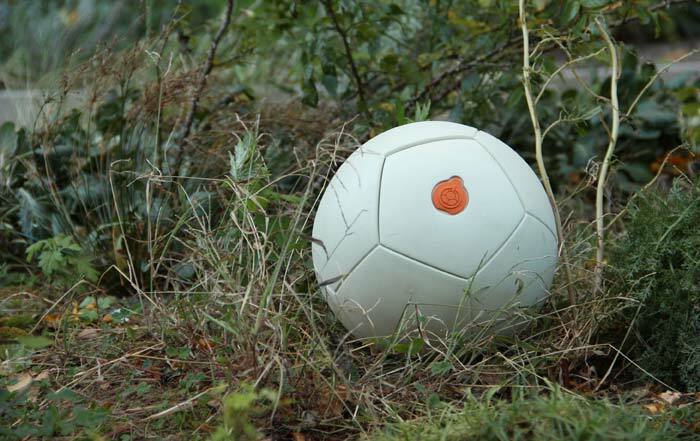 The ball is the flagship product of Uncharted Play, a company founded by two Harvard students, Jessica O. Matthews and Julia Silverman, in 2008. The two were part of an engineering class for non-engineers. The class assignment: Come up with a playful idea that could help tackle an issue in the developing world. Matthews, whose family is from Nigeria, knew about power problems in sub-Saharan Africa, where less than 25% of the population has access to reliable electricity. With that in mind, the pair and their classmates came up with the Soccket concept. The company has tested the balls in the U.S., Mexico, Brazil and parts of Africa and conducted a successful Kickstarter campaign earlier this year. (Among its fans: Bill Gates and Ashton Kutcher.) It’s now taking online orders through its website. Matthews has said there are hopes of expanding to other sports, such as basketball. People across the globe may soon find themselves powering their homes by doing something as delightful and simple as playing a game. In the bizarre world of body modification, tooth tattoos – while they do exist – aren’t near the top of many people’s preferred procedures. But a scientist at Princeton is working on a temporary one that could help detect tooth decay, gum disease and other illnesses. The tiny sensor is made of graphene, the same substance that forms the graphite in pencils. But applied to ultra-thin layers of silk, it stays flexible enough to attach to skin, or, in this case, tooth enamel. “It is like the difference between a tree and a piece of paper,” said Michael McAlpine, an assistant professor of mechanical and aerospace engineering at Princeton. The thus-far unnamed sensor is outfitted with miniscule electrodes and a wireless coil – allowing it to be powered by, and transmit information to, a remote device. When it detects the kind of bacteria that causes decay or disease, it pings that device, letting its wearer know there’s a problem brewing. Depending on which bacteria it’s programmed to detect, the sensor could also be used to watch for other types of illnesses. For example, hospitals could use the replaceable tooth tattoos to spot bacterial infections that sometimes spread among patients. McAlpine’s team hasn’t made any public announcements on when the sensor might be available commercially, although it’s likely at least several years off. The lab’s work was published in a scientific journal last year and has already picked up some buzz – earning a spot on the New York Times Magazine’s “Innovations That Will Change Your Tomorrow” list. It may not spark fashion trends. 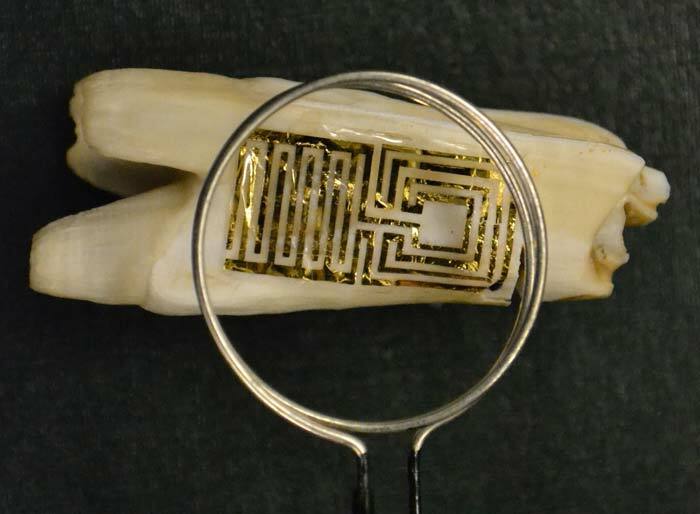 But by being able to detect tiny amounts of bacteria at a much higher sensitivity level than traditional methods, the tooth tattoo could give doctors a critical head start in battling infections. CNN honors 10 young companies we think you'll be hearing a lot more about in the coming months. All these startups have the potential to shake up the consumer-tech landscape, help address global problems or just make our lives easier.